With her inimitable vocal acrobatics and a range that spans over four octaves, she is destined to be on a rapid rise to icon status. ILIRA - I’ve been singing my whole life, but grew up in a small town in Switzerland where basically nothing ever happens. At some point, I uploaded self-recorded video snippets of my singing to Instagram, and was ultimately offered a management, publishing and label deal. Little did I know that the videos on Instagram were enough to get the ball rolling. Midline - You create pop music, but if you had to describe your music in three words - what would they be? ILIRA - Glitter Urban Pop! Midline - Who are your main musical influences? ILIRA - Growing up, I listened to a wide range of artists, everything from Rihanna to Nirvana. Britney definitely opened the gates to pop music for me, but I’ve never stopped exploring different genres. There’s so much music that I enjoy: from Indie to Metal, and from Middle Eastern music to American music. Midline - What was the first album you became obsessed with? ILIRA - That would have to be Britney’s first album. It just instantly got me hooked on the art of pop music. Midline - Which act were you obsessed with last year? Was there a song and album that stood out the most? ILIRA - Last year, I was deeply moved by “A Star is Born” and absolutely fell in love with the song “I’ll Never Love Again”. The raw emotion in that song speaks to me on so many levels, and eventually led me to do a cover of it on Instagram. Gaga is such a strong independent woman, and for her to sing that song really shows a beautiful vulnerability. 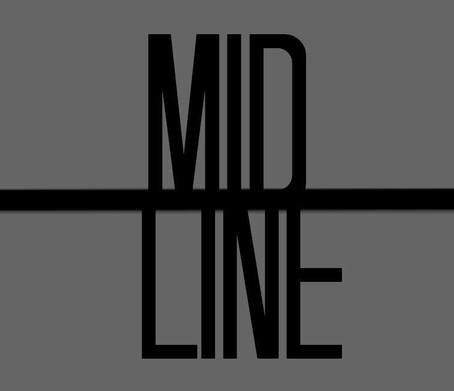 Midline - Your first offering to the world that wasn't you featured on a song was Whisper My Name. What made you want to release that track first? ILIRA - Whisper My Name was the first positive song I wrote after a heavy break up, so it had a really special place in my heart and seemed like a good first pick. It’s about the time someone new picked me up from an all-time low and brought me back to the floating feeling of being in love. Midline - You went on to collaborate with German DJ, Alle Farben on the single "Fading" which has gone on to become a huge success across Europe and went #1 on German radio. Did you expect this level of success to happen when you first recorded it? ILIRA - I’m absolutely overwhelmed by the success of Fading, and would have never expected it to blow up like this! I get so many lovely messages every day from people listening to it, and it always brings a smile to my face. I don’t think I’ll ever get used to this feeling, I’m so grateful for the success of Fading and look forward to releasing more of my music! Midline - How did that collaboration come about? ILIRA - My publisher Sony/ATV asked me, my songwriter Jaro and Jumpa to hop on the track and come up with a topline for it. We wrote the song thinking that someone else was going to sing it, but then Alle Farben contacted me saying they love the song the way it is, and that they want my vocals on it. Midline - You've been working with other acts on their songs since 2016. Do you have a dream collaboration? ILIRA - Rihanna! I also feel like we would be best friends, she just doesn’t know it yet! Midline - Are there more collabs in the works or are you focusing on releasing your own songs just for now? ILIRA - There’s another collaboration coming veeery soon this year, that’s all I can say for now! Midline - You released your latest single "GET OFF MY D!CK" at the very end of last year. What inspired you to write that song? ILIRA - I wrote GOMD at a time when I was feeling really depressed. After moving to Berlin to pursue music, things were moving extremely slow. Everyone thought they knew what’s best for me, telling me I should wait till I put out music, and giving me other horrible advice. GOMD is a promise to myself to never let anyone get in my way ever again. It’s for everyone tired of being a people-pleaser. Midline - The song screams HIT! and has gone down really well with streaming numbers with it achieving over 2.5 million plays on Spotify within a month. How often do you check these stats and are they important to you at this point in your career? ILIRA - I try not to care about numbers and just embrace the moment! It’s mind-blowing to me that millions of people are listening to my songs. Midline - Is it your plan to promote that song around the world or are you just having fun dropping songs at the moment? ILIRA - The interesting thing about GOMD is that it kind of blew up on its own: it entered the Viral Top 50 Charts on Spotify in the US without any promo! I’m so incredibly proud of this song, and can’t wait to drop more singles very soon! Midline - How long have you been signed to Sony for and how did that deal come around? ILIRA - I signed my publishing deal with SONY/ATV about three years ago, and my label deal with FOUR/SONY Music less than a year ago after moving to Berlin. Midline - You've been working on your album across the world for the past two years. You've been creating it in LA, London, and Berlin. How close to finishing it are you? ILIRA - I have enough songs to put out ten albums, and believe me when I say that I’m ready to put them all out! Midline - There is a huge Albanian take over right now in music. There's Dua Lipa, Rita Ora, Bebe Rexha, Ava Max and now you're part of the gang. Obviously, you're all very different and there is room for you all but are you expecting the comparisons or have you not thought about it that way? ILIRA - Honestly, I’m beyond proud of these amazing ladies, and have nothing but love for them! It’s an honor to be compared to such talents. Midline - Out of those four, who's music do you listen to the most? ILIRA - I support them all equally! Midline - You've posted on Instagram you were going to do some of your own headline shows this year, how is that plan going? Are you announcing soon? Where are you hoping to play? ILIRA - It’s going really well! I’m currently preparing my live shows and can’t wait to be playing my songs on stage! I’ll be announcing the dates and details soon - can’t wait! Midline - What goals have you set yourself in 2019? ILIRA - Release more songs, play lots of live shows and seize every second of the journey. I really appreciate everyone listening to my music and allowing me to live my dream, hopefully throughout 2019 and beyond. Special Thanks to ILIRA for taking the time to chat with us!